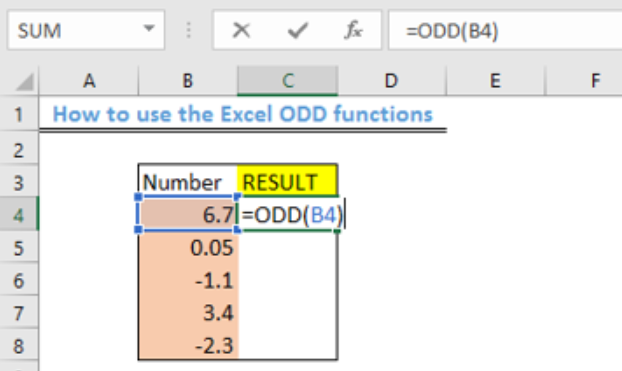 We use the Excel ODD function, which is a built-in function to round up a given number and return the next odd integer. 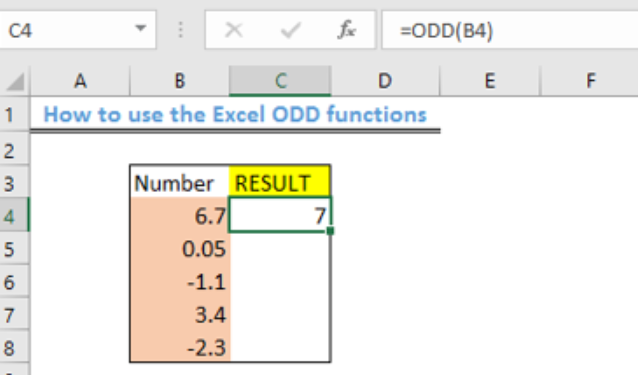 With this function, we round up numbers such that positive numbers become larger and negative numbers become smaller. 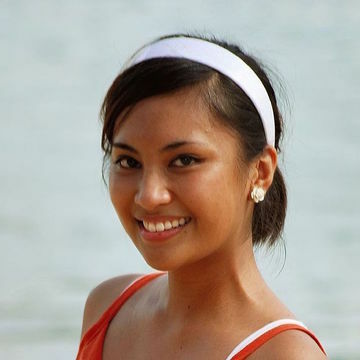 This article will walk through the process. We will prepare our table as shown in figure 2. 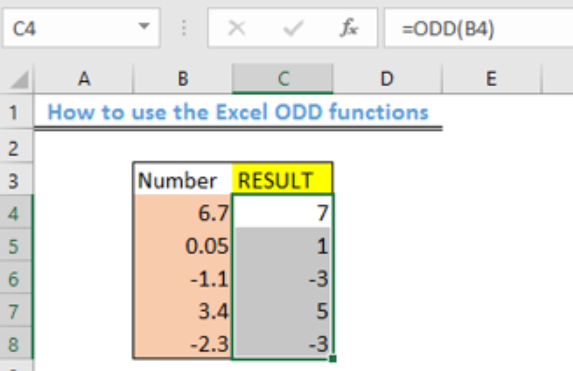 Using the fill handle, we will copy the formula to the other cells. The ODD function always rounds up numbers to the next odd integer while skipping the even integers. 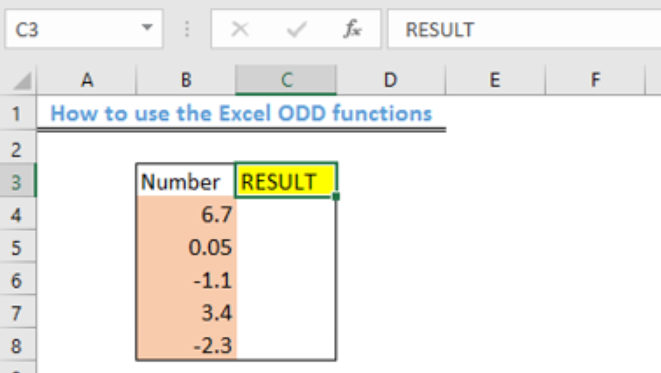 When you use the ODD function with negative numbers, the value it returns with is rounded away from zero to become more negative. I need to take a look at two rows and find the same numbers and highlight them leaving the odd ones out, make sense? 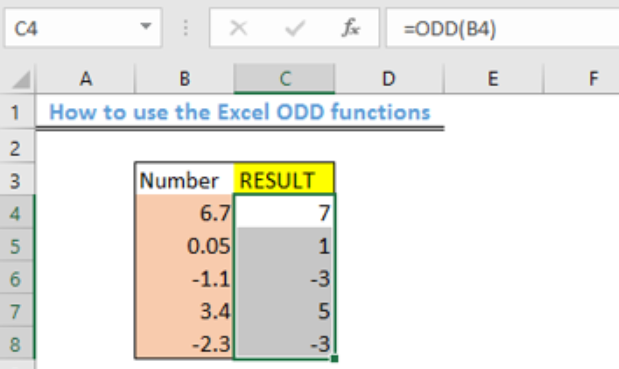 i'm trying to do the 3 odd & one even numbers in column a , as it was done in l column . and a frequency of all the numbers, i might enter in column a.
i'm trying to get columns o,p to count 3 odd & one even. as the column that count 3even & one odd. i'm trying to get columns o,p to count 3 odd & one even. as the column that count 3even & one odd. I had someone to write the function for me. I tried to add it to my program my self.